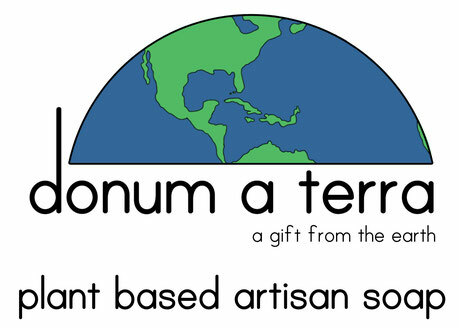 We at Donum a Terra want to offer people an easy, creative, and more efficient alternative to chemical-laden, store bought detergents with our artisan, plant-based soaps. We wish to be that beginning for anyone who's tired of harmful, synthetic chemicals that fail to clean efficiently and wants to simplify their lives with a natural approach. Each soap has top quality ingredients, both grown in-house and purchased from highly reputable sources. Because our company is internet-based, we can keep the costs down, offering competitive prices. All of our employees are accessible through our site to help enhance your shopping experience, staying with you every step of the way. and a place to expel them if harmful. We are a small, web-based company from Jacksonville, Florida, founded early 2013. As a dynamic family of soap sellers, we work hard to provide people with quality artisan soaps. Our vision is to create products that bring you back to basic ingredients given to us from the earth. Feel free to contact us using the contact form provided on the website, Facebook, Twitter, Pinterest, or directly by e-mail. "Years ago I became aware of all the chemicals in our food, and the products we use on and around our bodies and homes. I realized I could not control most of what is going on in the bigger picture, but on a personal level I could make choices. So I started to look for ways to reduce chemical usage in my home. What I discovered was I had to make my own products. Soap isn't the only product I make for my personal use, but I feel it is one of the major players in the reduction of chemical usage because it is used on a daily basis." For the past thirty years, my passion has been herbs and plant life. I've always been drawn to finding ways to incorporate them into my daily life. Most plant life, in its whole form, is an incredible gift that assists the body in expelling what is not needed. With this in mind, I find great pleasure in marrying the two: the cleansing power of plant life and the usage of soap. Soap is an easy way to include the power of plant life into one's daily routine. When I'm not taking photographs of soap, posting on our social media sites, or updating the store, I'm most likely still on the internet. I love all things technology, especially as a means to be creative. 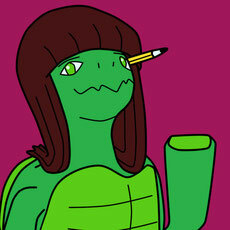 After years of tinkering in tech and studying creative writing, I hope to use my skills to help promote the business. I want to let the world know there are people out there that want plant-based soaps! 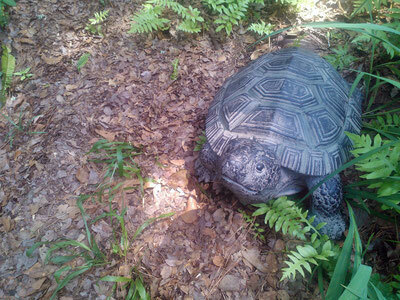 While it's true that the "Terra" in Donum a Terra means "earth," it also is the name of the Donum a Terra family's mascot, Terra the Tortoise. 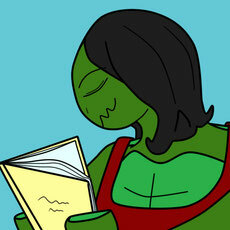 Terra likes long, lazy afternoons in the Florida sunshine, and smiling at any passersby. But don't let her lack of motion fool you. Behind those shining eyes is a will and a wisdom that comes from a connection to the nature. She is a continual inspiration to bring it back to basics in our everyday lives.